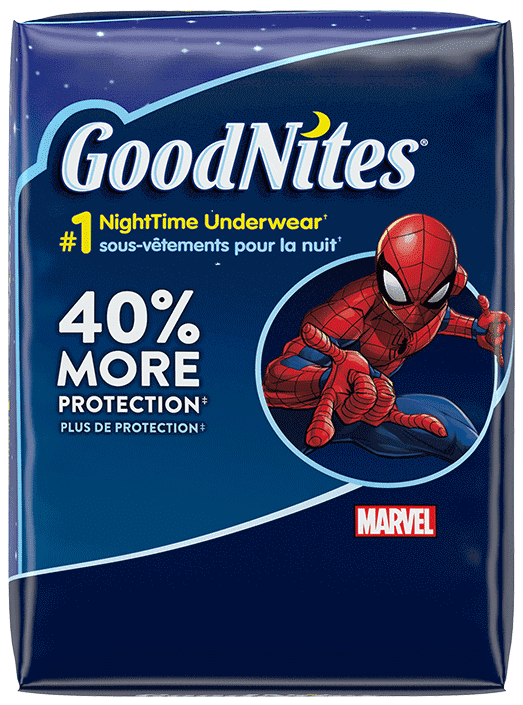 Purchase any specially-marked GoodNites® products and if you are not completely satisfied, we’ll give you your money back. •	The original completed Money Back Guarantee Form. •	The original store register receipt with a specially-marked GoodNites product purchased between 3/1/19 – 3/31/20. Please circle product purchased and date on store receipt. •	The original UPC Code from the package. UPC Code must match offer packaging. ONLINE ACCESS REQUIRED. LIMIT ONE REIMBURSEMENT PER PERSON/ PER HOUSEHOLD/PER EMAIL ADDRESS. LIMIT ONE PRODUCT PER REIMBURSEMENT. Only original mail-in Money Back Guarantee Form, store receipt and UPC (UPC Code must match offer packaging) will be accepted; no photocopies are allowed. Offer only valid for specially-marked GoodNites® packages with advertising concerning this offer. Purchase must be made in Canada. No responsibility is assumed for lost, late or misdirected mail or illegible and incomplete requests, or torn, separated or non-delivered mail or undelivered submissions. Fraud detection devices may be used to determine eligibility. Use of multiple addresses or P.O. boxes to obtain additional refunds is fraud and may result in prosecution. No mailing to PO Boxes. Ineligible or incomplete requests will not be honored or returned. Purchase of eligible GoodNites Products must be made between March 1, 2019 and March 31, 2020. Please circle product purchased and date on store receipt. All requests for reimbursement must be postmarked within 30 days of purchase and must be received no later than May 12, 2019. Offer good while supplies last. Offer valid only in Canada. Purchaser must be 19 years of age or older and must have an official Canadian postal address. Void where prohibited, taxed or restricted by law. No groups, clubs or organizations may participate in this offer or reproduce or distribute this form or any portion thereof to its members. Reimbursement not payable at retail location. Does not include sales tax. May not be used in conjunction with other offers. We will not honour incomplete submissions. Allow at least 8-10 weeks for delivery of reimbursement cheque. Reimbursement cheques void if not used within 90 days of issuance and cannot be reissued. The information provided will only be used to administer the reimbursement. To check on status email: Promotions@catalystnow.com.